PS Vita gets its second SNAFU game. 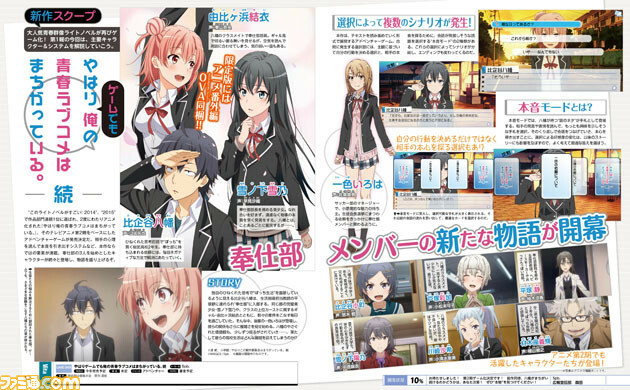 5pb.’s My Teen Romantic Comedy SNAFU TOO! game, first announced in June, is confirmed for PS Vita in this week’s issue of Famitsu magazine. Famitsu also has first details out the game’s systems, such as reading the mentality of an opponent to bring out their real intentions.